Crepuscular angles and the flat idea. 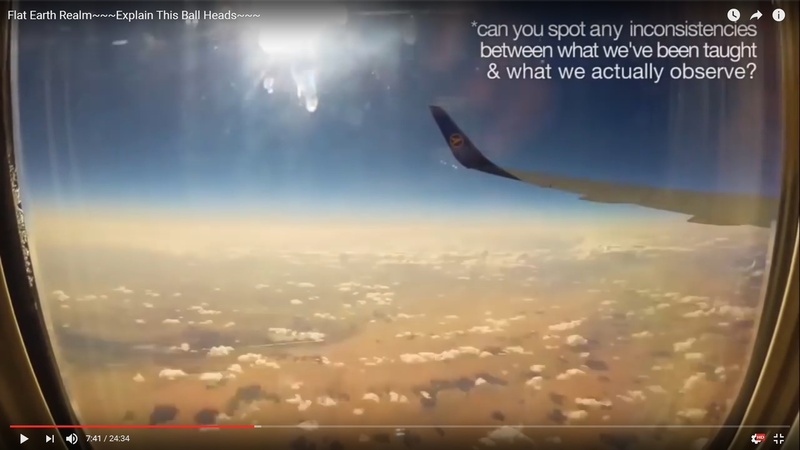 Discussion in 'Flat Earth' started by Vogon, Mar 3, 2016.
damn let me edit, of course this image is broken.. 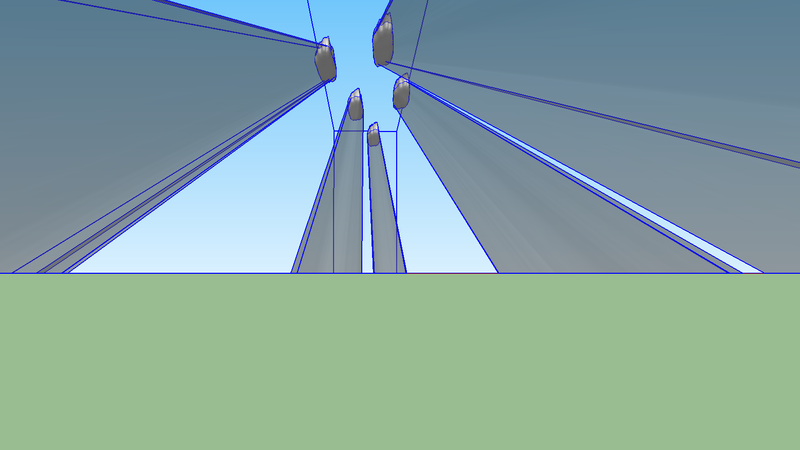 The beams are vertical at the point they face the Earth, and will look converging due to perspective. 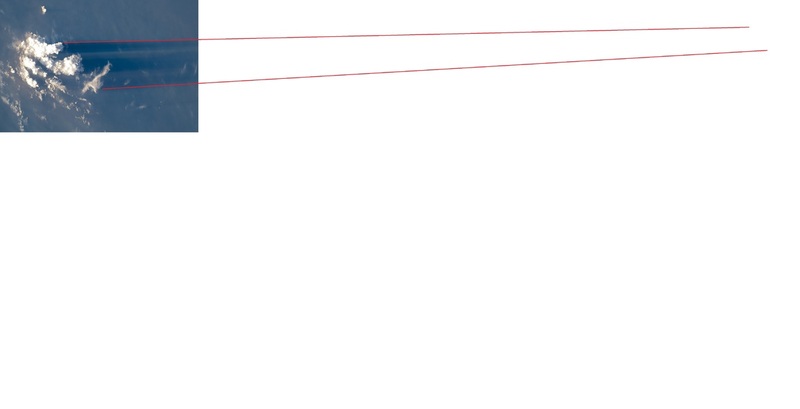 Then compare that vertical with the beam next to it or around it... Is it me, or is there a discrepancy? 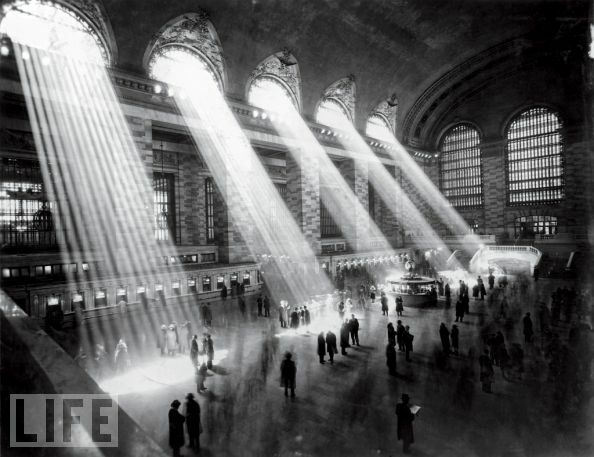 I know - the sun is off at an angle to their vertical (also due to curvature), but then wouldn't all the beams in the picture look like they had more of a common angle? Why are some beams the "opposite" direction? The source of these converging lines seem to be the point at which they leave the gap in the branches ITSELF. Some kind of Camera Obscura effect? Or is it just that the sun is so tiny at this distance...? Not intuitive to get one's head around IMO. 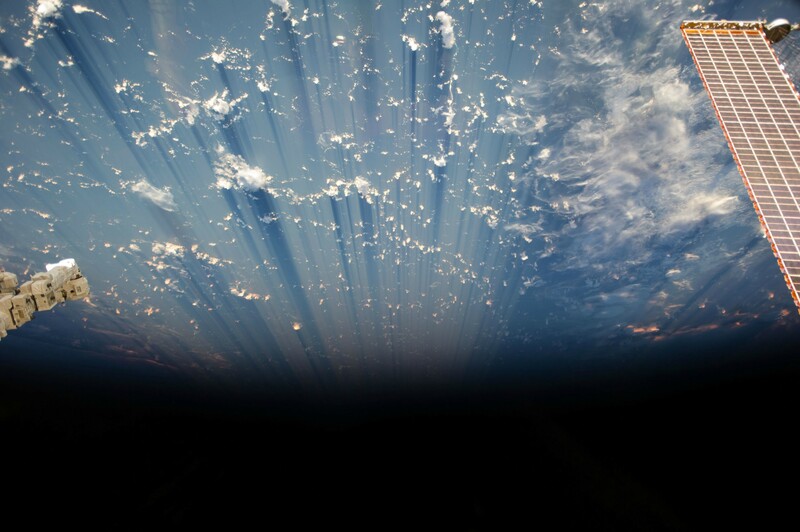 Refraction effects (Rays in space/vacuum hitting a surface of atmosphere)? 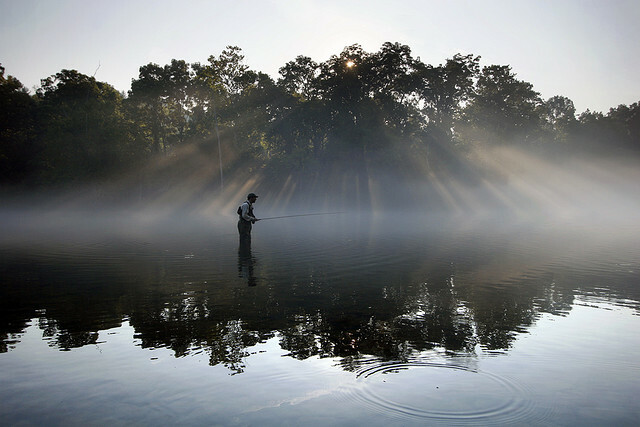 Remember crepuscular rays refer to rays in twilight. 1. of, resembling, or relating to twilight. Why do you think the sun should be "delivering vertical beams"? That would only be the case at the subsolar point, i.e. the place where the sun is at the zenith (directly overhead). Clearly that is not the case in this picture. The angle the sun beams, or light rays, make with the surface can vary between 90 degrees (when the sun is directly overhead) and virtually zero degrees (just as the sun slips below the horizon). I'm nost sure what you are getting at here. The source of the converging lines appears to be the sun, which is just visible between the branches near the top of the tree. Why would you expect anything else? On a photo covering this field of view, the diameter of the sun is negligible, and the lines pretty well converge to a point at the sun. Imagine placing the prongs of a fork vertically next to a straight sided object, say a brick or a box. The verticals would align. The prongs of the fork represent the sun's rays if the sun is overhead. Now tilt the fork so it is leaning away from you, to simulate the sun setting. Those prongs now no longer align with the vertical edges of the brick, because they are angled away from you. Same principle. You're eating a brick with a 93 million mile long fork? I skipped lunch. I was hungry, OK? Don't judge. OK, nice response and diagram. But notice how your lines reach the bottom of your diagram. Now, look at how the lines in the image don't. The sun is 1 au, 93 million miles away. The trees are a few 10s of meters. Look at how the beams dive into the water, seemingly just a few meters after they leave the tree. Shouldn't some of those beams be going over our shoulders and indeed, reaching the bottom of the image? Well, these are volumetric shadows; they are only visible because of the mist. But in that particular picture the fog has [probably] formed in the woods overnight due to transpiration and is spilling out onto the water, where it dissipates some few meters from the shore. So there are no beams visible further out in the lake where there is no fog. OK now I see what you mean. The beams are only visible in the areas with mist. You can't see light rays unless there is something to reflect them towards your eye. By coincidence I took this photo just the other day. The contrast isn't ideal but you can see the sunbeams in all directions around the sun, which is hidden behind the trees at the centre. Yes, it does look like volumetric shadows on the mist. Actually, you do not need the Sun to observe them; I've seem similar beams from a floodlight over a sports field surrounded by trees. If you look at the top of the image, there are ones going over your shoulders. Edit: Confusing two pictures here, I'm referring to Spectral Ghosts picture in error. Rays like that don't happen in clear air, they need a medium to "project" on. Mist, sea spray, smoke, falling rain, dust, lots of stuff can provide that. They're not terribly visible when they're close to you, so you'll see ones falling in front of you, to your sides, and passing above you, but not the ones right next to you, and if you look towards the sun the ones pointing at you are end-on, so they're lost in the glare. If the medium they project on ends, so do the rays. speaking of.. your title says "and the flat idea". I'm unsure what that means. Is this related to "Flat Earth theory?" because i can move you to the appropriate thread. 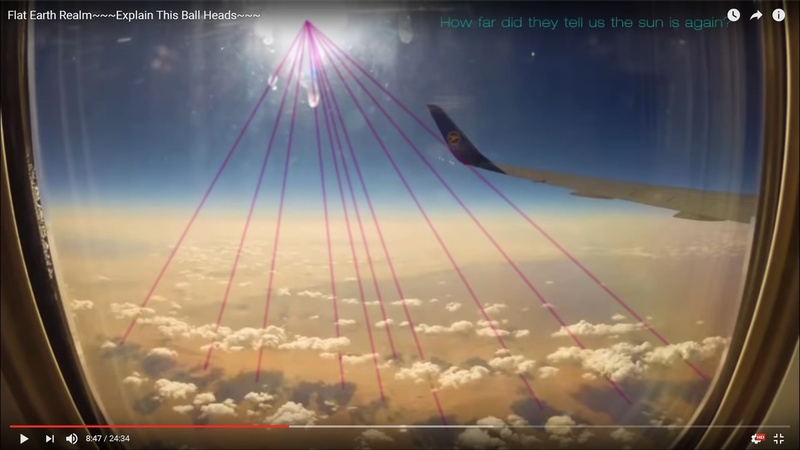 As I said: "The beams are vertical at the point they face the Earth, and will look converging due to perspective." The "Point they face" would be subsolar. Well, yes. Unless I am broaching two thread-territories here. I am brand new so didn't see a dedicated thread - such is my observational expertise. I also understand about hazing and particle illumination that must cause the beams, and the lack of which allows us to see them. The light seems to flare out from the points of origin in a way that went beyond what I would expect from basically parallel lines from such an incredibly distant source. The positioning of shadow-causing objects, particulates/clouds and scale can cause visual effects that are sometimes a little surprising IMHO. A very important factor is also that if the light source is in-shot, over a landscape... then it is a VERY long way from being overhead. Hmmm. It would take the fog of food-lust to make you use a curved eating implement as an example of something which hinges upon straight lines! Well, MY food-lust anyhow. Haha. Thanks, all for your insightful posts. They are but the light is shaded by the trees, and the fog may not come that far to show the beams. Of course, the standard, official FE response to the last pictures/link in the absence of any real referenced evidence would be that "nobody has ever been in orbit - because there are Nazis". It's interesting to see that when the objects casting the shadows are small and close, the crepuscular rays they create are a "scale model" of those created by objects that are large and distant. The angular size of the objects casting the shadow simply have to match for the crepuscular rays to match. 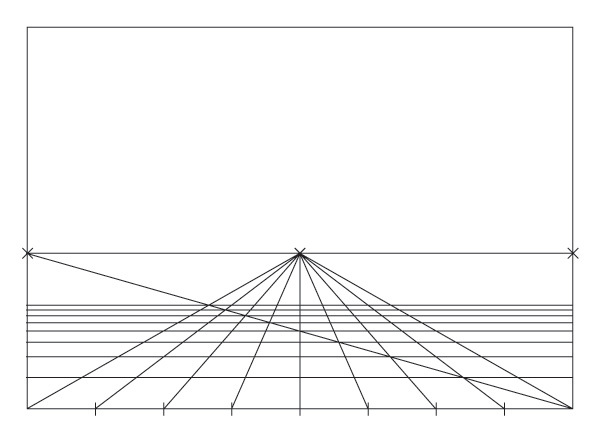 Examples of how your line of sight relative to the sun affects the perceived angles of sun rays. 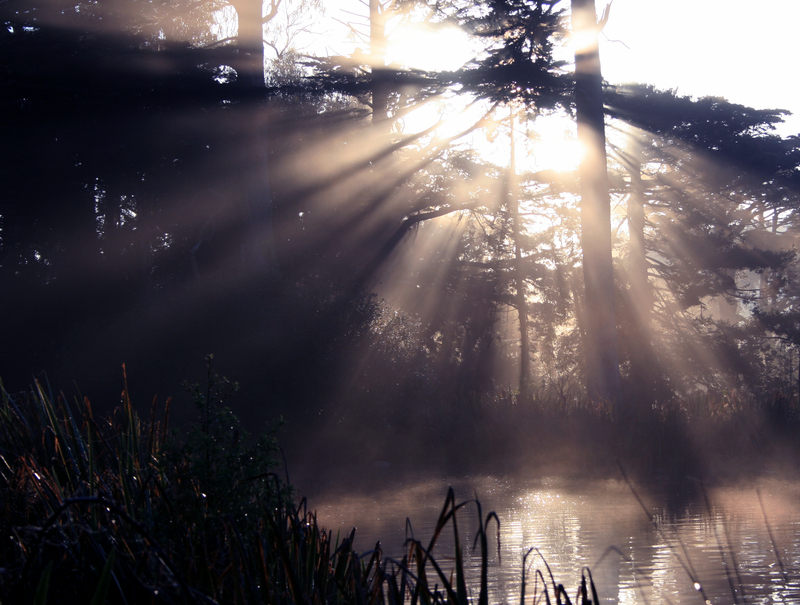 Thought I would share a couple from my blog on crepuscular rays. First is a video I personally shot in New Mexico. You'll often see Flat Earthers posting time-lapse videos of the clouds moving but they never show the observer moving. Which is exactly what I did here, this is a time-lapse from a moving vehicle which allows you to see the depth and structure of the crepuscular rays. Embed of the photo Z.W. Wolf mentioned, overhead view from NASA. Not that any Flat Earther would trust a NASA image but it's one more piece of data. Next image is one I made in Google Sketchup from a model that was already in the warehouse called 'Sun rays' (I didn't make the model itself, just the image). This is very similar to the one posted above in this thread with just lines, but anyone can grab this one into Google Sketchup since it's in the warehouse and setup a similar view and verify the shadow lines are indeed parallel in reality but *appear* to converge due to effects of perspective. It's amazing how much Flat Earthers go on about perspective when they don't seem to understand it. When it actually and clearly is the explanation they deny it and when they need to hide 300 meters of a distant city behind the curve of the Earth they whip out 'perspective' as the explanation. but what about clouds and shadows? 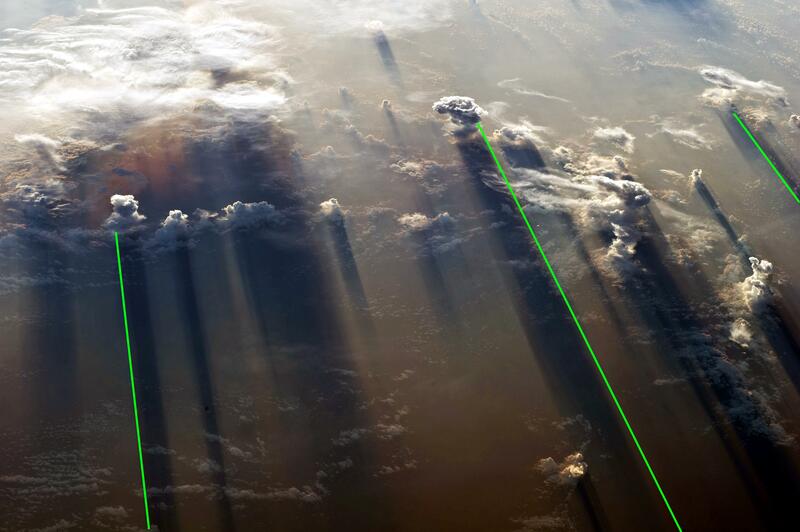 if sun rays indeed are paralel to eachother.. why are shadows compared to corresponding clouds not paralel to eachother? Because the shadows are closer to the camera. Am I missing something? Since when is this parallel? even if we take into account cloud heights? Those clouds seem pretty high.. and shadows angle towards bottom is not that steep.. so there is extra distance to cover towards shadows.. but.. ok.. if it is parallel.. I admit not to understand why at least all shadows don't point in the same general direction.. I'll try and figure it out..
#1 you've drawn the lines inwards over the actual shadows as they get dimmer, not narrower. #2 The shadows probably do converge a little in the image, as the camera is not infinitely far away. hmm.. at sun beeing 93 million miles away should it converge this much? because as far as I can see, there is a really distinguishable line of separation between light and shadow.. so extending those lines should not be an issue.. Parallel lines appear to converge when you look along them. They don't converge. They just look like they do. They look like they are converging, but in reality they are 4'8''(*) apart at the bottom of the picture and 4'8'' apart when they disappear over the horizon, its only the perspective that give the illusion of convergence. 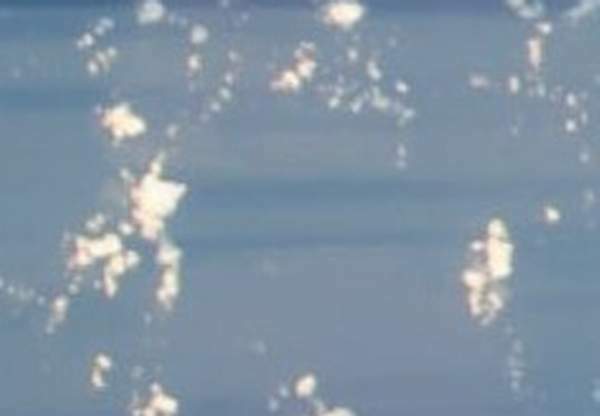 Those clouds in the satellite image are also cumulus, which have a mounded shape. As you look at the shadow further from the cloud, you're also looking at the shadow of higher up on the cloud, where it is narrower. Thus you'd expect to see a shadow of roughly triangular shape. @Abishua, could you draw a diagram of where the sun would have to be in order for shadows to converge? Because I can't picture it. Also, what would you expect to see with the sun 93 million miles away? How would this diagram look different? In which case, where would the sun be in the sky? Al least they are not diverging, as they should in the flat earth model. And if you watch that video again you will realise that if the (almost) parallel rays seem to diverge, than the shadows in between will do exactly the same, so why wonder? I suspect this is the problem: These are not crepuscular rays. They are anti-crepuscular rays. Notice that these shadows are diverging. It's simply a matter of camera position relative to the sun and the objects casting the shadows. In the first photo (Camera A), the camera is between the sun and the clouds and the camera is looking along the shadows. The shadows are moving away from the camera and the shadows converge (anti-crepuscular rays). In the second photo (Camera B), the clouds are between the camera and the sun and the shadows are moving toward the camera. The shadows diverge (crepuscular rays). This illustration is from the viewpoint of someone on the ground. The cameras are far above his head and above the clouds. He's over to the side of the clouds looking at the situation from the side. 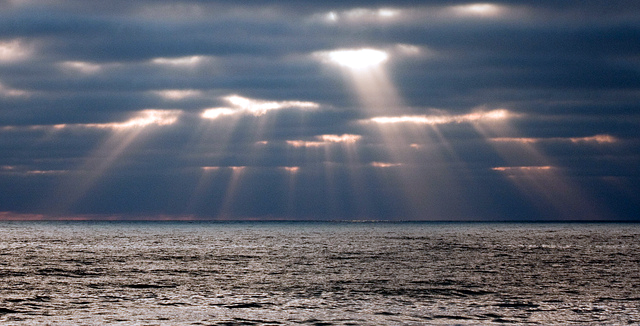 To be clear: What is an anti-crepuscular ray? As the "anti" prefix implies, they are the opposite of crepuscular rays. While you are looking toward the sun and you see crepuscular rays, with anti-crepuscular rays you have your back to the sun and are looking away from it. Anti-crepuscular rays converge. 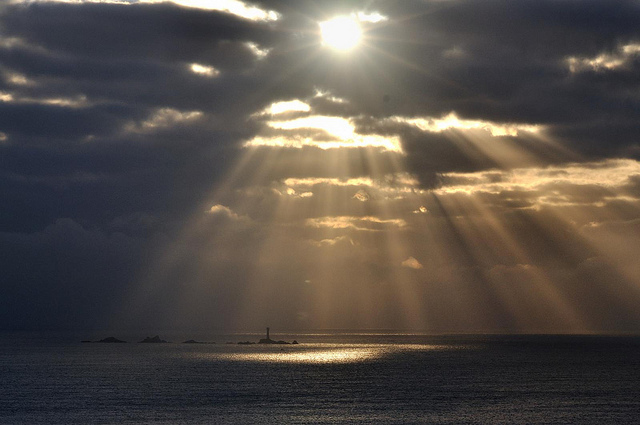 This photo of anti-crepuscular rays has already appeared in this thread but I'll post it again. This is sundown and the sun is setting in the west but the photographer is looking EAST with the sun at his back. There are clouds behind him casting shadows. He is looking along the shadows as they move away from him. 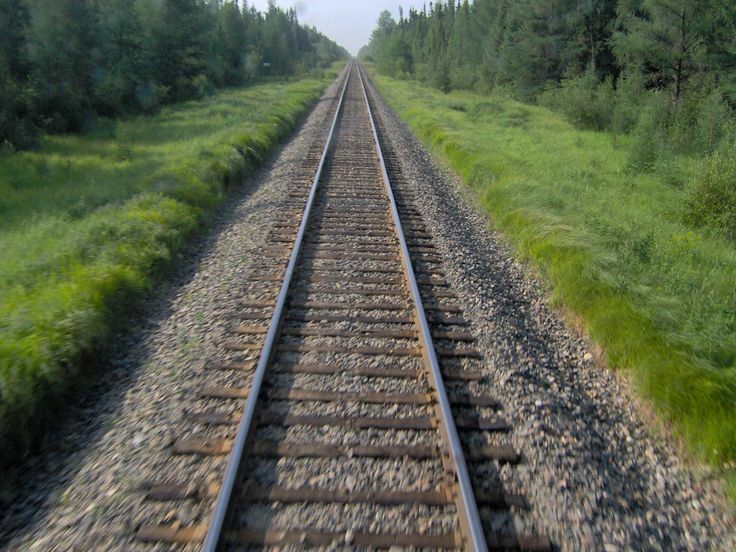 They converge because of perspective just as railroad tracks do. I'd better explain something else. This looks as if the camera is looking straight down and the clouds are to the left of the camera. But they aren't. This is either a cropped section of a larger photo, or the camera is simply tilted but we don't notice the tilt. The clouds are actually to the RIGHT of the camera, and sun is to the left. Proof? Just look at the sunlit part of the clouds versus the shadowed part. The sunlit part is bigger than the shadowed part. In other words we are to the left of the clouds and looking at their left side. The right side is more hidden. I'll show further proof of this point and my previous one both. I just found this photo of clouds casting shadows as seen from the ISS. 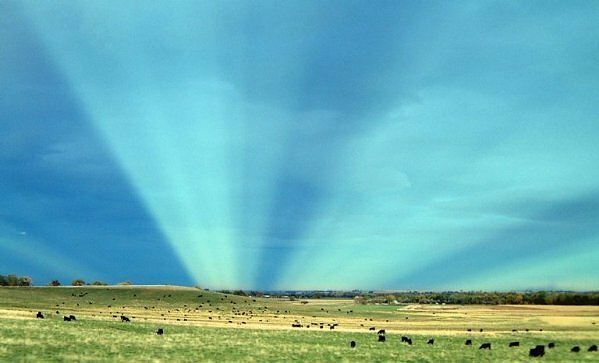 These are anti-crepuscular rays, and they are converging. This is a cropped section and it looks as if the camera is pointing straight down. But it's not. The camera is to the left of the clouds. Way to the left. And the shadows are converging because these are anti-crepuscular rays. Way to the left. And the shadows are converging because these are anti-crepuscular rays. I don't think you can say they are either type from this viewpoint. The rays/shadows are the same either way, just depend where you are standing and which way you are looking. I don't understand. 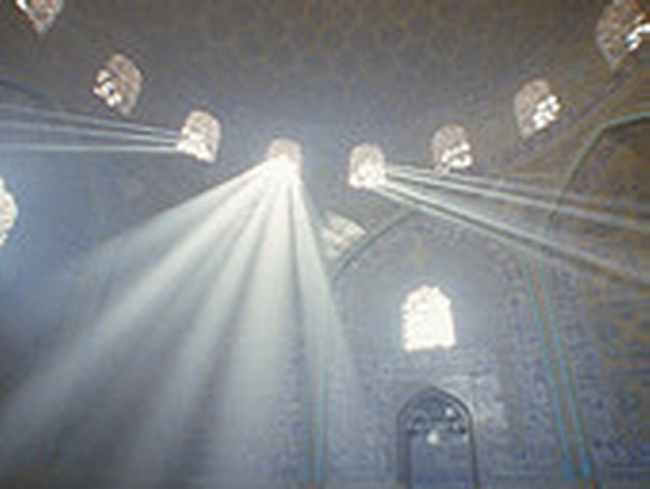 It's a cropped section from a photo showing anti-crepuscular rays. 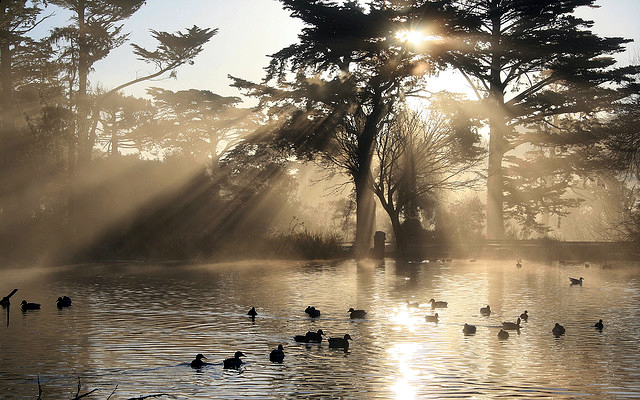 If I cropped a section from this photo wouldn't the cropped section also be showing anti-crepuscular rays? I think he's saying that diverging or converging depends on the relative position of the camera, but that the shadows seen from space are not really crepuscular or anticrepuscular rays, since the solar and antisolar points are not in frame and thus the shocked do not converge to or diverge from a visible point. They are simply shadows obeying the rules of perspective as one would expect. I don't know if that's it. I won't speculate anymore; but just ask for clarification. But I can respond to what you're saying. If we built a space elevator on the same spot on which the photographer was standing in that photo of anti-crepuscular rays and kept the camera pointing the same direction as we rode upward... at what elevation exactly would they stop being anti-crepuscular rays? Just above the clouds? Even with the clouds behind us and below us, we would still see the shadows seeming to converge. I'm aware that I'm stretching the definition of crepuscular rays, but we're dealing with a new situation that wasn't anticipated when the word was coined. Put crepuscular and anti-crepuscular in quotation marks, perhaps. 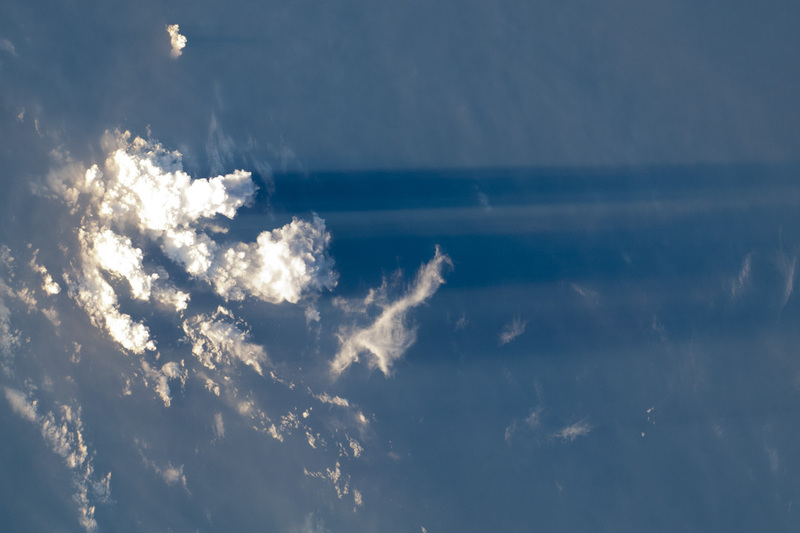 Even so, if we were a hundred miles up on the space elevator and facing east we would see cloud shadows that would look to us due to perspective as if they were converging. And if we were to look west we would see clouds casting shadows that would look to us as if they were diverging. And if we could look straight down we would see clouds casting parallel shadows. Can we agree that the problem with this photo is that we are not looking straight down? The camera is actually to sunward of these clouds, as is camera A in the illustration below. Perhaps what Mick is saying is that we can't tell. But there I go speculating again.